Beginning a position of academic leadership can be challenging under any circumstances. But those challenges increase exponentially when you’re hired into an institution from the outside. You enter a world where nearly everyone knows more about most local issues than you do. Alliances have already been formed. Coalitions that stand in opposition to those alliances have emerged. People have strong opinions about what should and shouldn’t be done, and they all have plenty of evidence to support their views. How do you know whom to believe and whom to regard with a bit of skepticism? If you make the wrong choice on an important enough issue, it can make it much harder to accomplish the goals you’ve set for yourself. You can find that people mistakenly believe you’re aligned with this or that faction, causing them to interpret everything you say with a certain degree of distrust. Even in the best of circumstances, being in academic leadership can sometimes feel as though you’re constantly trying to negotiate your way through a minefield. But how do you locate the land mines in new and unfamiliar terrain? 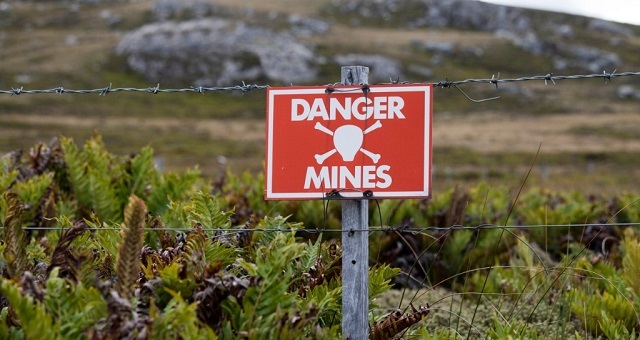 With regard to actual land mines—the kind that can kill you, not merely complicate your career—there have traditionally been three methods of determining where these bombs are buried. The first method is to maintain constant vigilance: keeping your eyes and ears open for something that doesn’t seem quite right, such as a well-worn path that no one seems to be using or a bit of debris or bramble that may be concealing ground that was recently disturbed. When it comes to leadership land mines, vigilance is still your first line of defense. Chairs, deans, provosts, and presidents who come to an institution from the outside often feel that they have a limited window of opportunity to make major changes. Once the honeymoon phase is over for an academic leader, they believe, it’s much harder to introduce new ideas and make progress on those initiatives. Moving too fast too soon, however, can lead you directly into a minefield. It’s far preferable to use that honeymoon period to make progress in one or two key areas—most likely those that seemed to resonate most with others during the interview process—but spend most of that time listening, evaluating, and drawing your own conclusions. When you’re new in a job, most people want to give you their own version of institutional history and present a certain course of action as the only logical way to proceed. It’s useful to listen to all these points of view, being cordial and genuinely interested in hearing what the person has to say but making few early commitments. The very person who sounds so reasonable in your first three months may be the person who, a year or two later, is clearly the one who gave you the worst advice. So listen attentively, but commit infrequently. The second method of locating actual land mines is gently probing the ground. Early in the 20th century, this type of probing was done relatively crudely by testing the ground with the tip of a bayonet. The goal was to prod the soil firmly enough to determine whether a solid object had been buried there but softly enough not to trigger a mine. Refinements of this process, using thin rods or stiff wire, were later developed, but the success of the process still depended largely on the skill of the operator. That proper balance of pushing the probe just hard enough could be difficult to master. Even when successful, this approach was just as likely to locate a rock or a piece of garbage as a land mine. But it was still better than no approach at all. Administrators probe the ground in new environments by posing “What if?” questions. For example, rather than face immediate resistance from certain stakeholders by announcing the elimination of an intercollegiate football program, an incoming president poses a hypothetical question along the lines of the following. “You know, when you look at the budget overall, you can find lots of places where the revenue we generate doesn’t match the cost of the activity. For example, the income we receive from intercollegiate football falls short of our investment in it by just over $7 million each year. Suppose we were to redirect that investment to academic programs and student success initiatives. What would we lose in terms of national visibility to donors and prospective students? Is that offset by what we’d gain in increasing our retention rates and improving our academic profile?” Like their counterparts in the world of actual land mines, these gentle probes are imperfect instruments. People may support an idea in theory but bitterly oppose it when it’s on the verge of becoming reality. And sometimes even the gentlest of probes can cause a massive explosion. For this reason, the third approach to locating land mines—using detection devices—is the most effective tactic of all. In warfare, mine detectors may be mechanical (such as magnetic devices that indicate the presence or certain metals, like iron, nickel, and cobalt) or trained animals (such as dogs, pigs, and even bees; see www.defense.gov/specials/bees/) that have a sense of smell far sharper than that of humans. The advantage of detectors is that they can often locate mines that can’t be seen through vigilance or identified through probing. The disadvantage is that they can only detect what they’re designed or trained to discover. A magnetic detector can’t locate wooden cases or plastic explosives; an animal won’t smell a new type of material that wasn’t part of its training. New administrators, too, can use a type of detector by conducting morale surveys, open forums, and focus groups to discover what the “hot button issues” are for different constituent groups. If alumni have a strong emotional attachment to a particular building on campus, then retrofitting it in a way that doesn’t alter its physical appearance is a better strategy than demolishing it. If students are transferring elsewhere because they can’t get the classes they need, then it may be worth enduring temporary faculty dissatisfaction with higher enrollment caps in order not to lose tuition revenue that then can be invested in additional faculty lines. These detectors, too, are not perfect; you’re unlikely to discover the importance of an issue if you don’t know enough to ask about it. But they can be a valuable component of a new administrator’s “listening tour” that can help locate land mines in time to defuse or avoid them. Reprinted from “Locating the (Leadership) Land Mines” in Academic Leader 31.2(2015)1,6 © Magna Publications. All rights reserved.